San Francisco, CA, July 2, 2015 – VIZ Media, LLC (VIZ Media), the largest publisher, distributor and licensor of manga and anime in North America, launches special Hokage for a Day Promotion to celebrate NARUTO and the upcoming first-ever U.S. appearance by the manga series creator Masashi Kishimoto at the 2015 New York Comic Con in October. VIZ Media and ReedPOP, the organizers of the New York Comic Con, will welcome Kishimoto-sensei for a very special series of personal appearances at the massive pop culture convention that will take place October 8th-11th at the Javitz Convention Center in Manhattan. Full details on the event are available at: www.newyorkcomiccon.com . VIZ Media announced the Hokage for a Day Promotion earlier today during its panel at the 2015 Anime Expo in Los Angeles. The contest opens today and runs through August 14th and is open to all entrants 13 years or older in North America. NARUTO fans are urged to visitviz.com/naruto and submit a short, creative YouTube video featuring what NARUTO means to them and how the series has affected their life. The first set of “Staff Picks” will be selected by VIZ Media and posted on the web site on July 6th with new video submissions to be posted each week throughout the duration of the contest. The semi-final stage begins on August 24th when VIZ Media will unveil the Top 50 videos at viz.com/naruto and will open public voting. Fans (as well as their friends and family) are encouraged to participate. Finalist voting will commence on August 31st. The contest winner will be announced by VIZ Media on September 7th. The Grand Prize winner of the Hokage for a Day Promotion and a guest will have the opportunity to meet NARUTO creator Masashi Kishimoto in New York City on October 10th during NYCC. The Grand Prize package also includes airline tickets and hotel accommodation for the winner and a guest, as well as transportation and a pair of New York Comic Con show passes, courtesy of VIZ Media. The final volume of the NARUTO manga series (rated ‘T’ for Teens) will be published by VIZ Media in print and also digitally in October and brings the long-running ninja action adventure to its thrilling conclusion. The first NARUTO spin-off movie, BORUTO: NARUTO THE MOVIE, which launches a new storyline and characters focusing on the son of Naruto, will launch in the Fall. Author/artist Masashi Kishimoto was born in 1974 in Okayama Prefecture, Japan. He was first inspired to become a manga artist in elementary school when he read Akira Toriyama’s Dragon Ball series. After spending time at art school, Kishimoto won the Hop Step Award for new manga artists with his story, Karakuri. After considering various genres for his next project, he decided on a story steeped in traditional Japanese culture. His first version of NARUTO, drawn in 1997, was a one-shot about fox spirits; his final version, which debuted in Weekly Shonen Jump in 1999, quickly became the most popular ninja manga in the world. The series has spawned multiple anime series, movies, novels, video games and more. 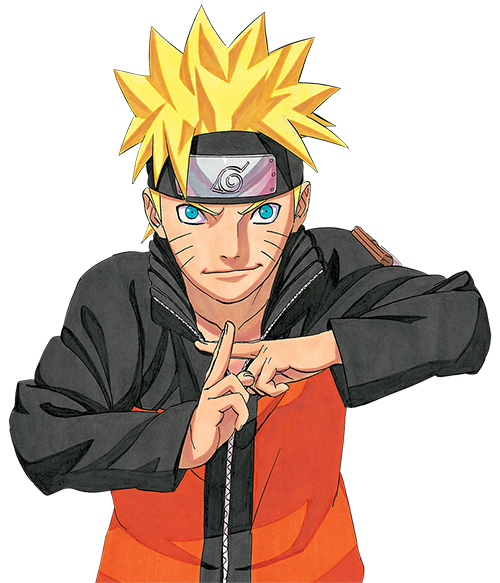 Having concluded the series in late 2014, Masashi Kishimoto has kept himself busy with a new side story Naruto: The Seventh Hokage and the Scarlet Spring and writing the latest NARUTO anime film, both of which focus on the title character's son, Boruto.